Resting on one of the most beautiful white sand beaches in the Mexican Caribbean with breathtaking views of the turquoise blue Caribbean Sea, Sunset Royal Resort is an ideal place for a Cancun vacation. Located in a peaceful area of Cancun’s hotel zone, it’s close enough for easy access to popular travel entertainment, such as Coco Bongo and Dady’O nightclubs and Señor Frog’s and Carlos ‘n Charlie’srestaurants, but it’s also far enough away to escape the action if you choose to do so. Sunset Royal offers more than the customary Cancun hotel with its comprehensive all inclusive plan containing additional valued benefits. 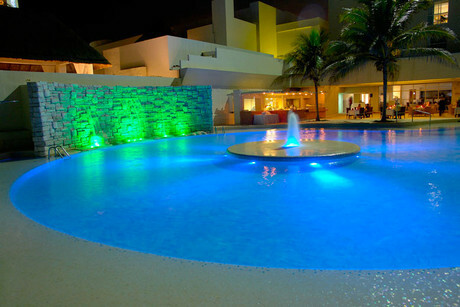 Two features that make this upscale resort so popular are the unique attributes of its all inclusive plan and exceptional guest services. Add the personalized attention and quality amenities provided, such as gourmet cuisine and premium liquor, and members are sure to have an extra special vacation experience. Located in one of the finest sections of the Cancun hotel zone, Sunset Royal continues to be a first choice for travelers who prefer a first-class beach resort with an extraordinary all inclusive plan. 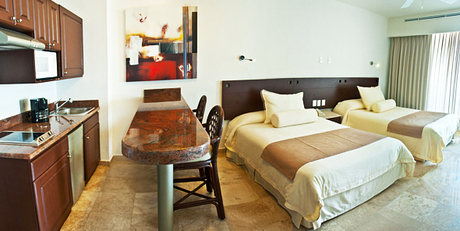 Only 16 kilometers (10 miles) or a 15-minute drive from Cancun International Airport, the resort is on Kukulcán Boulevard at kilometer 10 in the center of the hotel zone. 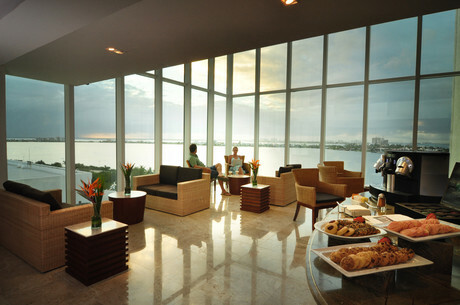 Sunset Royal knows a fun vacation includes plenty of activities and services that result in an enjoyable, relaxing stay. That’s why the vacation activities they offer range from the familiar, such as fitness classes and beach volleyball, to the unique, such as Mexican handicraft workshops and nightly theme parties. The on-site services provide both the fundamentals for convenience and extravagances for indulgence, ranging from airport transportation and Internet access to spa treatments and shopping tours. Most adult and children’s activities at the resort run daily from 9:00 am to 5:00 pm. 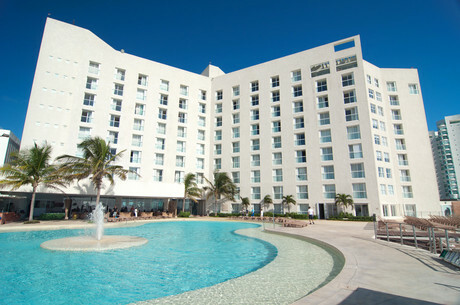 Sunset Royal Beach Resort Cancun is the best Cancun lodging choice for your trip to Mexico. With numerous amenities for guests such as room service, car rental, free full breakfast buffet, you will wake up at Sunset Royal Beach Resort Cancun feeling ready to go every day for your time in Cancun. Don’t let this amazing reservation opportunity pass you by, book your stay at Sunset Royal Beach Resort Cancun today to make the most of your time in Cancun, Mexico.